Tradition. Defined as follows: the transmission of customs or beliefs from generation to generation, or the fact of being passed on in this way. 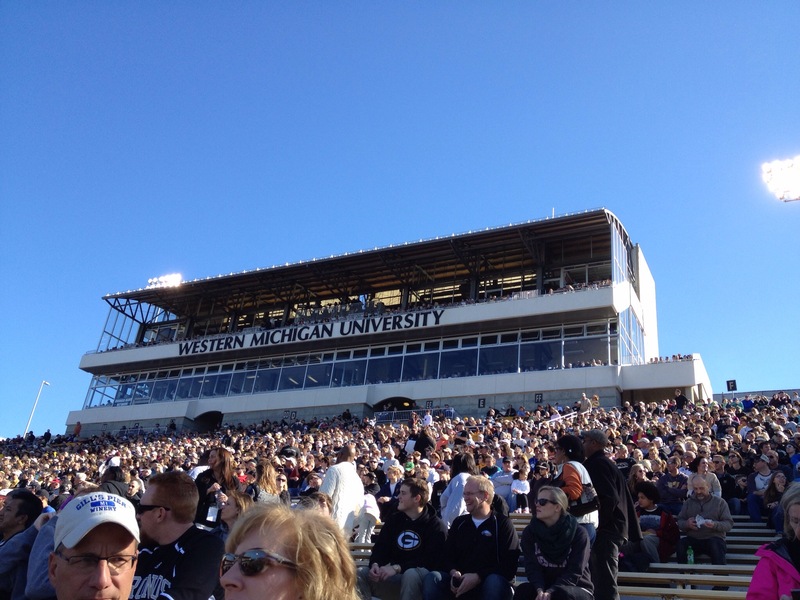 Most every year at this time, we make our annual trip back to Kalamazoo, Michigan to our alma mater, Western Michigan University for Homecoming. 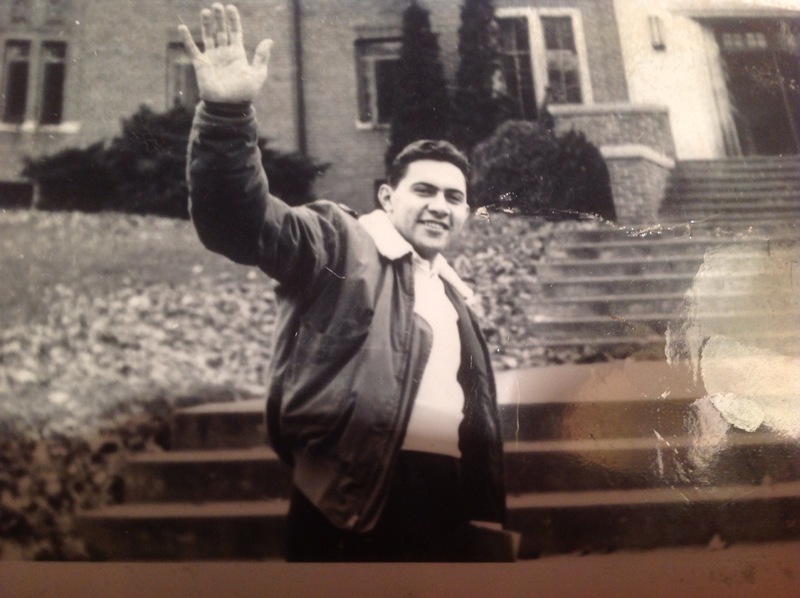 WMU is a long standing tradition with us, as Jim’s dad graduated from Western in 1948. 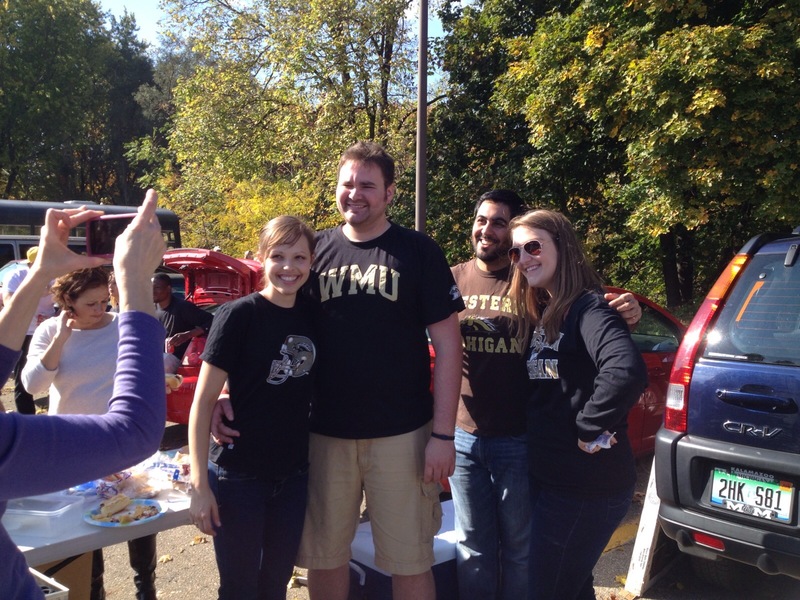 We are part of a group of five families that have kept close since graduating from WMU in the early 1980’s, and some of our friends’ children have followed in our footsteps. Two of the families reside in Kalamazoo, and we proceed to take over one or both of their houses. 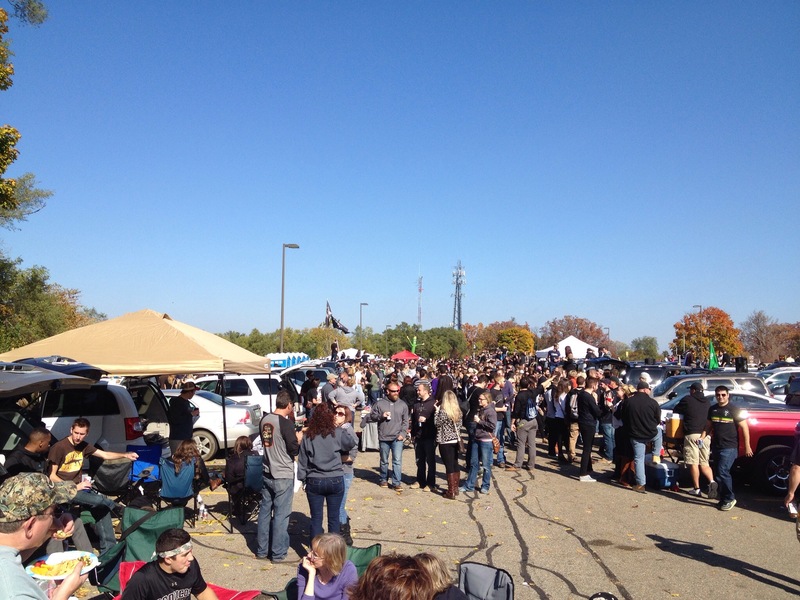 Saturday morning finds us in a parking lot on campus with a good portion of our Bronco Nation. 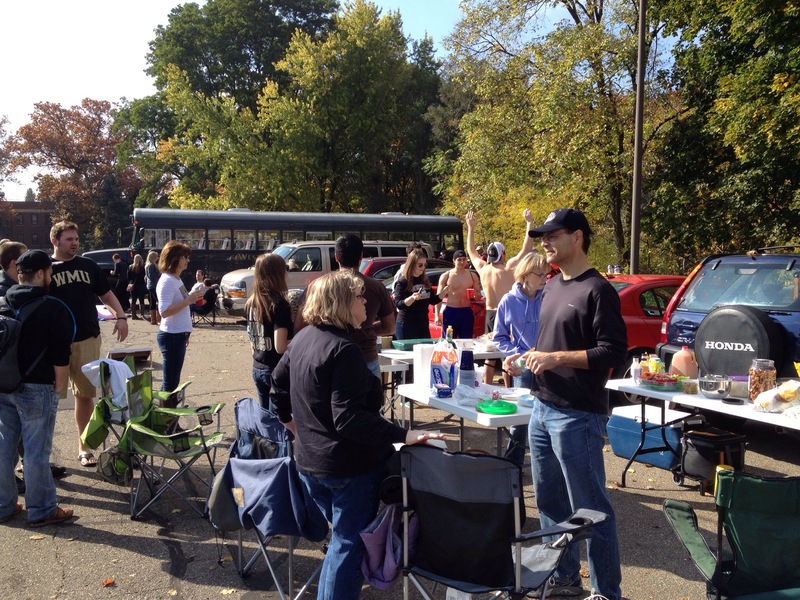 We park a few cars ahead of time, and lay out a nice spread of food and drinks. The crowd, while spirited, always seems to keep the festivities within reason. Part of our next generation of family and friends: left to right; Tara, Kevin, Al and Natalie. Natalie, a degreed art major, was called upon to paint the superfans for the game. Billy, seen here with Diana, is the latest addition to our legacy. He is in his first semester at Western. His parents, Karen and Bill, couldn’t be any prouder. 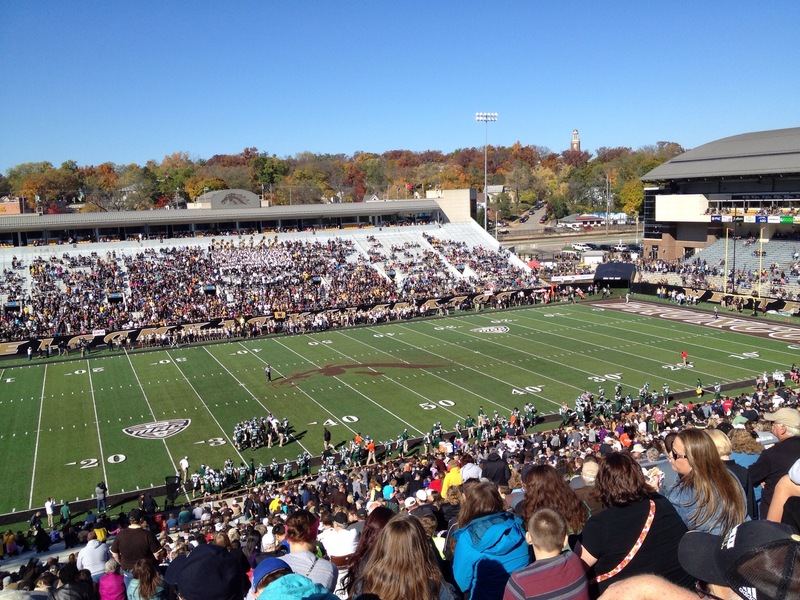 It was a ‘chamber of commerce’ day in Kalamazoo. 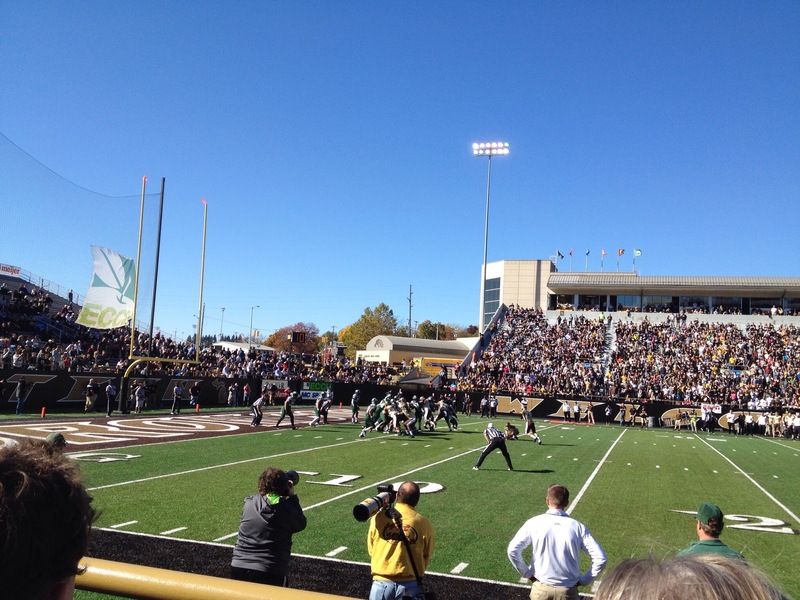 There was a good sized crowd on hand to see the Broncos take on Ohio University. 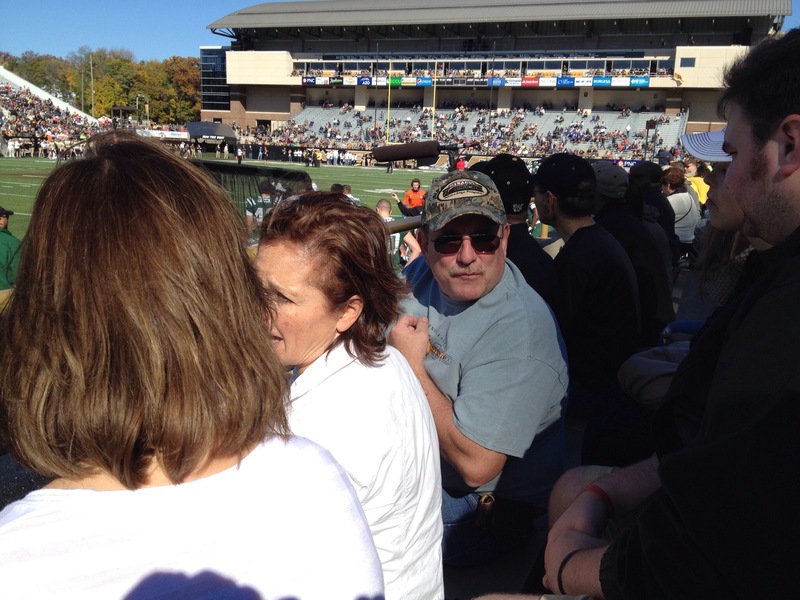 Mike has a tradition of announcing “another BRONCO – FIRST DOWN!! !” He did that a lot on this fine Saturday, resulting in hearing loss for those around him. The Broncos were frequently found in the end zone, making for a perfect day. 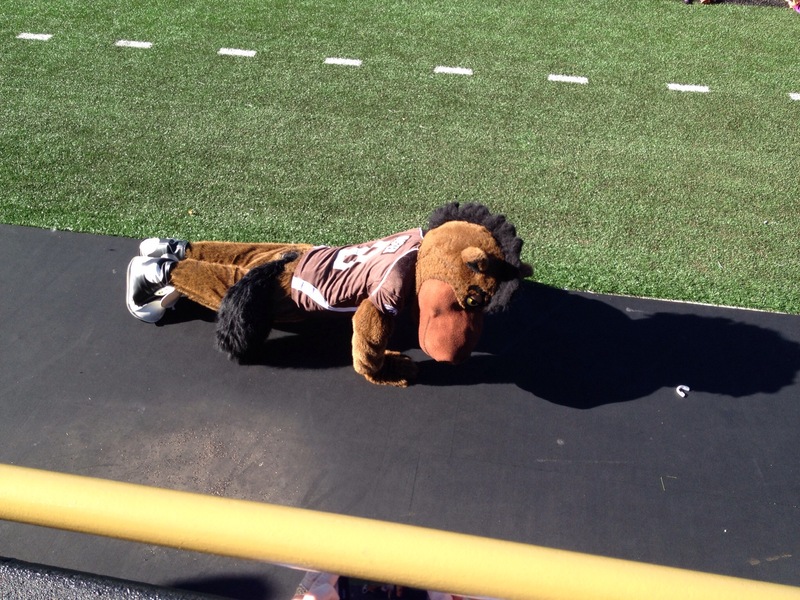 Buster Bronco had a full day of push-ups, as Western beat Ohio 42-21. 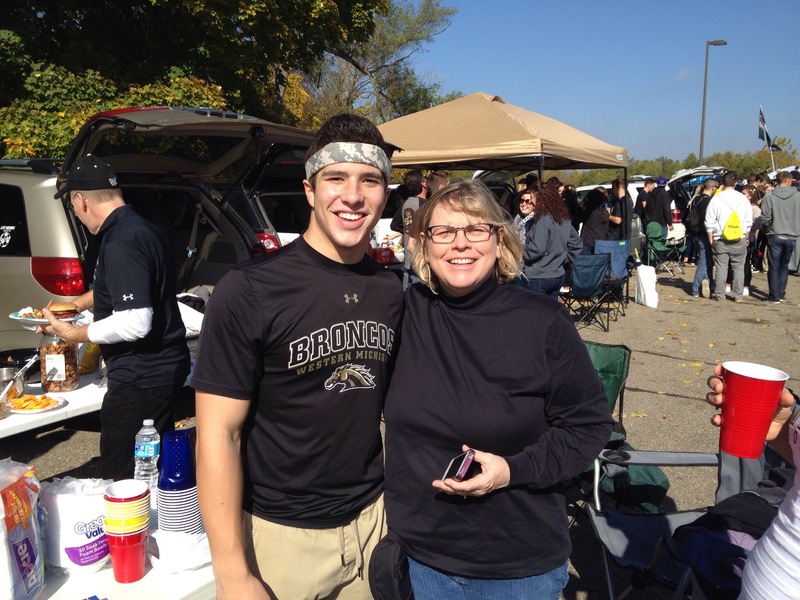 It was a great day to be a Bronco! Each year, life has a way of pulling our families in different directions. But tradition, the glue that binds us all, works it’s magic and brings us back together. It is Homecoming, and we truly are home. The love we share is as strong as blood relative relationships. As the years past, our bond becomes even more precious. Looks like a great time! Love following along!